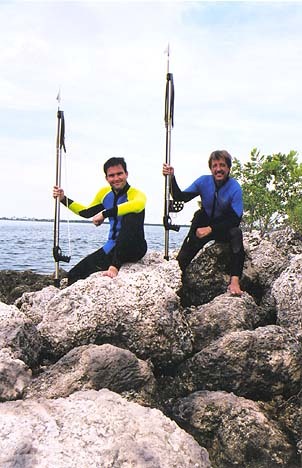 Our broad heads are a breakthrough in spear fishing technology! 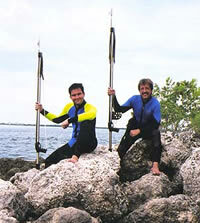 The main purpose of a standard spear tip is to tether the fish. This can be very dangerous, especially when hunting larger fish. Because of a sometimes-violent struggle, a diver can lose the fish, spear shaft, gun or all three. Struggling fish can also tangle up the hunter, which can be extremely dangerous. Our broad heads aim to kill the fish. The razor sharp blades are designed to slice through the spinal cord of the fish, thus immobilizing it. Even when the shot is less than ideal, the three broad head blades cause such severe damage to the nerves, blood vessels and tissue that the fish struggles for a much shorter time. The priority of every underwater hunter is to land the fish. PATCO broad heads are a must for every serious and conservation conscious hunter. Our ocean resources are limited and therefore we should make every shot count! Economical, stainless steel, double barbed tip, which is designed for small to medium size fish. The tip will screw on any shaft equipped with 6mm size thread. The 500 lb. test line offers the highest abrasion resistance of all braided cords. The line features polyester core for stiffness and spectra sleeve. In actual cases where standard nylon line was completely cut by only single pass of a large fish across the barnacle covered pillar, the spectra line showed no signs of wear even after multiple and severe scrapings. Line OD: .080�. 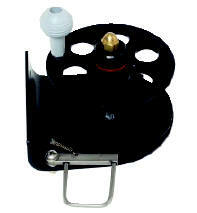 PATCO is a manufacturer of AQUA HEAT, AQUA LITE(also know as Aqua Light) and AQUA GUNS. In simple terms, we make wetsuit and drysuit heaters, underwater lights, 10 watt hid light heads, spearguns and spearfishing accessories. Patco�s scuba diving equipment is high quality, technologically advanced, state of the art, fully guaranteed, and are geared to safety, enjoyment, comfort, and maximum value.